How do we regard Commercial interior design? 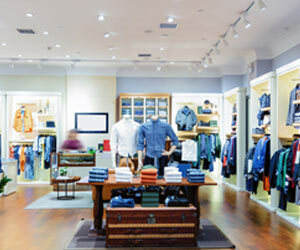 Commercial interior design is the focal point on designing for commercial spaces. Over the years it has developed as an important branch of interior design, combining aesthetic with practicality and productivity. In our day it is a crucial element in office, retail and industrial space design. It is supposed, an office is a jiffy home. Bearing in mind this aspect, it is vital to decorate an office that is welcoming. You might have noticed a lot of companies tend to have innovative and unique office interior design. Well, the major reason for the same is because it helps in boosting creativity and also beautifies the whole working environment. The key to a successful business is location. But even with the greatest location in the world, a business can easily fail if its interior is not just as well thought out. Interior design is the art of balancing functional needs and aesthetic preferences inside of a structure. Looking for a cost effective commercial space interior designer or consultant for your project in dhaka, chittagong, sylhet Bangladesh? At Optimal Interior, we work for and with our clients to bring their creative vision to life with professional guidance every step of the way. As an interior design specialist based in Dhaka, Bangladesh, we can advise what is feasible and maximise the use of space potential and aesthetic. Some of the companies that are into the b2b business opt to have a stylish office space as per commercial interior design so that they can influence their prospective clients. The company owners want their prospective clients to have a good first impression and thus they spend a lot of money in making the office look different. Some companies also display its products within the offices to impress their clients. Most people love to work in an office where the air is clean and fresh. They also love it when their desks are not cluttered. One needs ample amount of space available within the office for free movement of people. Most of the companies know this fact and hence the company owners are hiring the very best interior designers to design or redesign their office space. In fact choose the very best architect for the same reason. An office plays a key role in attracting attention of most people. You will notice that many big and established companies these days have impressive offices. Why do you think that is? 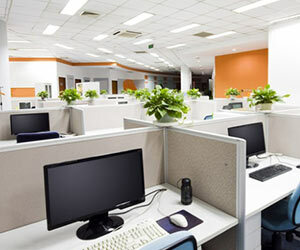 In most of the cases the common people expect certain reputed companies to have offices that have commercial interior design. Commercial interior design has countless benefits from happier workforce, better brand likeness to its utility as a gizmo to impress clients.